Described in this short Partners in Healthanimation, contact tracing, the process of identifying and diagnosing any person who may have come into contact with an infected individual, is an urgent first priority for the initial Ebola case in a community. No matter if it's New York City or Monrovia, contact tracing is fundamental to stopping the spread of the disease and requires an ability to engage with people directly, and at a large and complex scale. Coordinated and effective communication between health workers, citizens and local government in contact tracing is important, and yet in the past outbreak it was far from seamless. This was especially true in the hardest hit areas of Liberia, Sierra Leone and Guinea. Camilla Hermann, a New York City-based social entrepreneur, had been working in Liberia before the outbreak started, and came to understand intimately the challenges communities were facing. "Traditional methods of contact tracing could not scale to meet the challenges," Hermann recounts. "There were inadequate means of identifying a potential patient before they sought medical attention, no efficient way for groups of health workers to coordinate and communicate their efforts, no standardized patient intake form and no central database of cases and contacts." When varying systems are being used for contact tracing by different groups, inefficiencies arise when critical information is not shared, workflows begin overlapping and fragmentation in group response increases. Disconnected contact tracing systems are counterproductive and time consuming. This is devastating when timeliness is the most important component of the containment. Improvements are now on the horizon with independent actors stepping up to increase effectiveness of contact tracing across borders. In response to her experience and understanding of the gaps in West Africa, Hermann has launched Assisted Contact Tracing (ACT). ACT will be utilizing the interactive voice response system Verboice, and working with a nexus of partners to improve the contract tracing process both locally and globally. 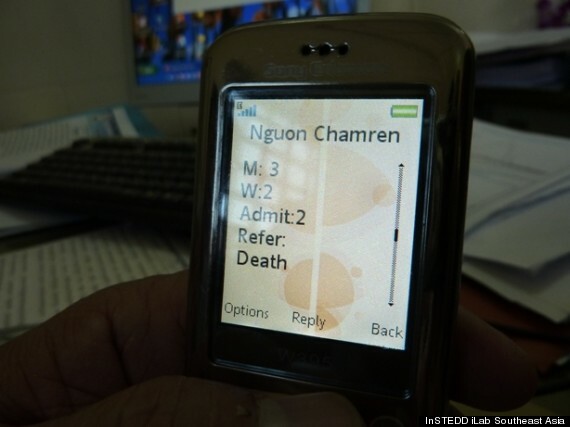 Google Crisis Response is supporting a drive to link up disparate systems for times of crisis and Skoll Global Threats, a San Francisco-based organization focused on preventing global pandemics, is helping find ways to assist international travelers, like health volunteers, monitor their own health and symptoms when they come back from the hot zone, an important bridge in international contact tracing systems. With investment and cooperation between responders and humanitarian sector actors, an easily deployable, off the shelf contact tracing system can be ready and available to the local government and first responders, and be able to scale up across borders as necessary. Ebola is most contagious when an infected individual has gone past the early symptoms of headache, fever and upset stomach and is emitting vomit, diarrhea and especially blood. Therefore, the earlier the diagnosis of Ebola can be made, the lower the chance the patient will contract the disease to others and the higher the likelihood the patient will survive with treatment. This is why nearly 90 percent of those diagnosed and treated in the U.S. survived. Having rapidly available, trustworthy data on diagnosis is critical for patient survival and preventing the spread of Ebola. In the West African villages and cities where the Ebola outbreak gained momentum, getting tested was a difficult and sometimes impossible task. The cost of traveling from a village home to an Ebola-ready health center was very expensive for many. The high cost for travel lead infected individuals to try and wait out their sickness to see if it was something less serious. Additionally, the price point -- approximately $200 - $300 per test -- limited availability, and the paper-based system for Ebola diagnostics at the time of the recent outbreak slowed abilities to respond. Ebola had been viewed mostly as an African-centric disease. Without a first world market, promising leads for both diagnostics and treatments had been shelved and when the crisis hit manufacturers and diagnostics makers had to work hard to kick-start initiatives and develop the appropriate assays. The issues described above can be addressed together with the development of a cost-efficient, mobile diagnostic device, which can be deployed into the community and test individuals closer to where they live. Getting it right with these next generation tools will put us on the road to better preparedness, which FIND and InSTEDD are actively trying to realize with private and public sector stakeholders. Connecting all Ebola diagnostics via mobile networks is the giant leap that will allow us to battle Ebola outbreaks across villages, districts and cities in real-time. The development of a connected diagnostic platform is an investment not only for the next Ebola outbreak -- it will improve our responses to many other infectious diseases and international crises. lnSTEDD CEO Eduardo Jezierski and COO Wendy Schultz wrote about the diagnostic innovation opportunity in last month's Huffington Post article "The Game Changing Innovation in the Fight Against Outbreaks," describing in detail how connected diagnostics can provide data to ensure rapid surveillance of an epidemic, allowing for quick outbreak containment and the timely deployment of medical teams and medical supplies to the points of infection. 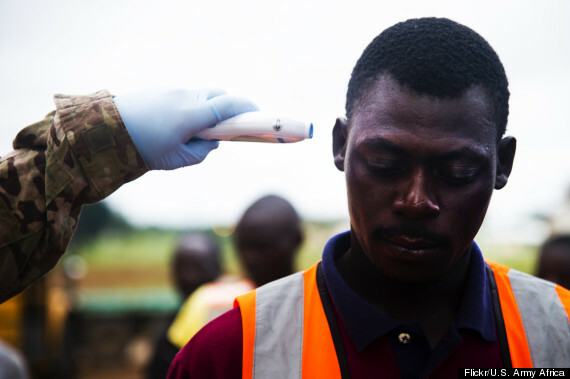 Much has been written on the role of mobile phones and the tech industry in the Ebola response. Mobile phones -- which are now ubiquitous even in the poorest countries -- are already playing a big role in communication at the individual and organizational level, but an important gap still exists. The MIT Technology Review reported how analyzing cell phone data can help build a picture of the overall travel patterns in the hot zone and where to focus preventive measures and health care. However, as the Economist has reported much of these call data records in West Africa were never released. When fighting against a deadly outbreak, all possible resources must be tapped -- why is this information not accessible? Privacy concerns remain a major constraint and further considerations are necessary around how call data is utilized and released. UN Global Pulse reported in October from the International Conference of Data Protection & Privacy Commissioners on the evolving landscape of privacy in the Age of Big Data and Internet of Things. Collecting data from the private calls of citizens, even in a time of an epidemic, requires special ethical considerations. Mobile networks and telecoms are key stakeholders in the potential of mobile data to respond to outbreaks. These companies have shown willingness to help, however their role cannot stand alone. They, too, are on the front lines and their network administrators and maintenance workers are at risk in the hot zones as well. If we want to see preparedness in using mobile networks and call data then mechanisms and partnerships need to be in place with telecommunication companies before the outbreaks hit. Effective leadership from mobile operators, the telecommunication association GSMA, regulators and multilateral stakeholders must break the current logjam and get the protocols and partnerships for crisis preparedness in place before the next Ebola outbreak. 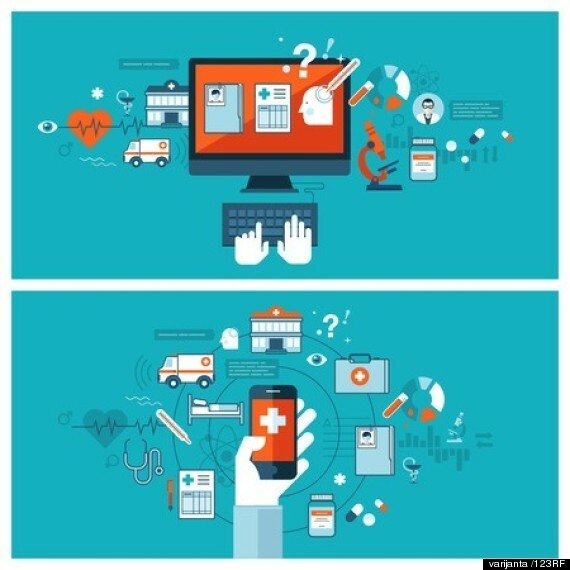 Rehearsals and preparedness drills should cover the legal, contractual and technical efforts to connect to the turnkey tools the general population and health workers will need. All three areas for improvement described above are ready to be taken on -- none are beyond current capabilities. While the feeling of urgency to respond to the Ebola threat continues to decrease, improved contact tracing, connected mobile diagnostics and crisis protocol for telecommunications should remain priorities. Not only will these areas better prepare us for the next Ebola outbreak, but they can be applied to other slow and fast-moving diseases. It is now up to funding agencies and implementers to invest in these and other improvements, capturing lessons and preparing a strong front line to prevent and slow outbreaks in the future. This article was written with direct inputs from various members of InSTEDD.